The clear coat that protects your car is porous and filled with micro-ridges similar to your skin. From a distance your clear coat appears flat but when you look at it through a microscope you see that it has ridges. Contamination can easily become lodged between these areas and reduce the optical clarity of your paint, thus creating a dull shine. Spray a clay lube on the surface and glide the Clay Magic Fine Grade Clay Bar over these areas and you will pull out contaminates. This is similar to the process of exfoliating your skin. 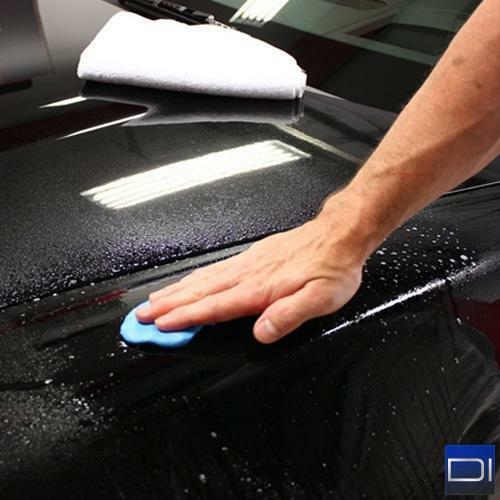 Thus you gain back a clean clear coat that is very smooth to the touch and contaminant free. An additional benefit to prepping your paint with a clay bar is that waxes and sealants adhere to smooth and contaminant free paint much better. This means that the wax or sealant will protect and shine for longer. We recommend cutting this extra large bar into 4 to 5 pieces so you get multiple fresh uses from one large 200 gram bar. Store the bar in this container to protect it from contamination in the air in-between details. Use this clay bar to properly prep your paint before using a polish, glaze, sealant, wax, etc. Throughout my career, both as a detail enthusiast as well as business operator, I've tried many clay bar types. Some were too aggressive for general use, some weren't aggressive enough to remove everyday contamination and some were simply junk! The one that always stood out and the one I kept using a good 80-90% of the time is the Clay Magic Fine Grade Clay Bar. This blue mild clay bar is aggressive enough to remove almost any contamination and it does it fairly quickly. It decontaminates paint without leaving much or any marring at all, so only a little and sometimes no polishing is required after using it. From minor overspray, to tar, to paint scuffs on the surface, this clay bar works really well to remove it with very little effort. Clay Magic makes your finish as smooth as glass, while removing harmful surface contaminants such as paint overspray, tree sap, bug residue, industrial fallout, and other stubborn dirt. 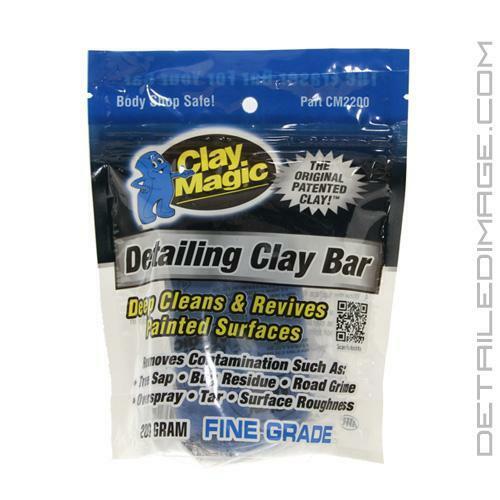 If you're not using Clay Magic on your paint, then you're just waxing over dirt! Clay Magic is safe n all types of vehicles; cars, trucks, SUVs, motorcycles, RVs, boats and airplanes. Clay Magic is clearcoat safe and can be used on paint, chrome, glass, fiberglass and plastic. Spray #49-Body Shine, Clay Lube, or #050 Lubri-Shine (non silicone) onto a 3' x 3' surface area. Form Clay Magic into an oval shape. Gently rub the clay bar over the wet area using a back-and-forth motion until you feel the contamination is removed. Wipe the surface dry with a clean microfiber cloth. It's that easy!